Welcome to the sixth annual SEPIA newsletter. Barely a week has passed since we arrived back at Heathrow from our most recent trip to Ghana; so as you can imagine we are brimming with news to relay from the schools and people we visited. We really enjoy putting together these newsletters as it give us the opportunity to publically thanks those who have helped us raise funds during the year as well as letting you know where those funds have been spent. We strongly believe that this feedback is vital and hope that by seeing exactly how your donations were used you will feel confident enough to pass on our news to your friends. 2013 was our most successful fundraising year so far and as a consequence we feel that we have also had our most effective year in terms of delivering educational support. 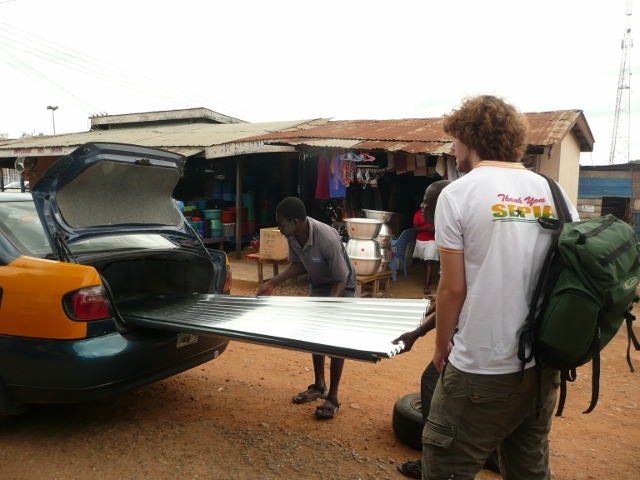 In 2014 we have exciting plans to extend our support to include a new region of Ghana and to achieve this we need your help, not just to maintain your amazing support but to also help us spread the word about our charity. So feel free to pass on this newsletter to your friends, suggest that they look at our website http://www.sepiaprojects.co.uk and for the latest news click on our Facebook page link. Thank you! As mentioned, this year was our best yet regarding income and we are pleased to announce that in 2013 we have managed to raise £4592. Once again our local schools have been really supportive and continued thanks go to the staff, parents and pupils from Oakley Infant School near Basingstoke, Perins School in New Alresford and Ropley Primary School. These schools not only provide us with much needed financial support but they also responded very generously when we put out a request for educational equipment to take with us on our recent trip. It’s surprising how much stationery you can fit in to a suitcase even if it means leaving out most of your clothes! One other essential contribution these schools make is to provide letters and classwork which is shared with the children in the Ghanaian schools. We believe this is beneficial to children both in the UK and Ghana as they discover what life is like in each other’s country. Special thanks go to Mel Kirk and Pete Howe at Perins, Sally Harvey and Rachael Pett at Oakley and Clare Molyneux and Clare Farrell at Ropley. Aaron and I also returned to the Alresford Music Festival again this year selling Ghanaian clothes and craft, the festival organisers are kind enough to give us a pitch for free so everything we gain is profit. The festival also gives us chance to show people what we have been up to over the intervening year and hopefully attract new interest. In times of austerity we often have to work a little harder to raise funds so it is always a nice surprise when donations come in unexpectedly. This year we have had two such forms of income; one from a Ladies Dining Club event in London which, despite my attempts to find a link, remains a welcome mystery! The second came from another of my nephews, Richard Andrews, who donated the profit from selling two items of furniture that he makes. Thanks to both sources, we like surprises. Despite our best efforts there are times when normal life takes over and fundraising has to take second place. During those periods it is a relief to know that we will still have some income coming in due to our supporter who donates by direct debit. (Thank you Lesley) If you feel that you would like to help us by setting up a direct debit please contact us at info@sepiaprojects.co.uk and we will be very happy to give you our details. Finally I would like to thank the numerous individuals who took part in the various events and responded to our requests on the website and Facebook page. As you read below I hope you agree that your generous donations were put to good use. 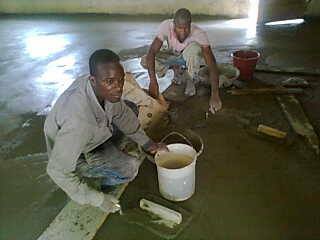 As we extend our links into new schools the need for basic equipment grows. We generally prefer to buy this in Ghana as it helps with local economy however; our visits give us a good opportunity to take out specific items requested by the Ghanaian schools. Our One Book, One Pen campaign serves to provide equipment for both teachers and pupils and this year we were able to take out a range of textbooks to aid lesson planning. We also took out another batch of SEPIA pens plus a suitcase full of equipment donated by local schools. (Photo 1) Whilst in Ghana we bought several new subject-specific textbooks released to compliment the latest version of the Ghanaian curriculum; again these will be used for the teachers. It would be nice one day to be able to buy sets for the pupils too but our priority at present is to make sure the teachers have the basics to do their job and the pupils have the basics to help them learn. We also purchased some technical drawing equipment, some phonics charts and sufficient pencils to ensure that all the primary pupils we were working with had one each. Our expenditure for all of this was a little over £300; you can buy a lot for your money in Ghana! 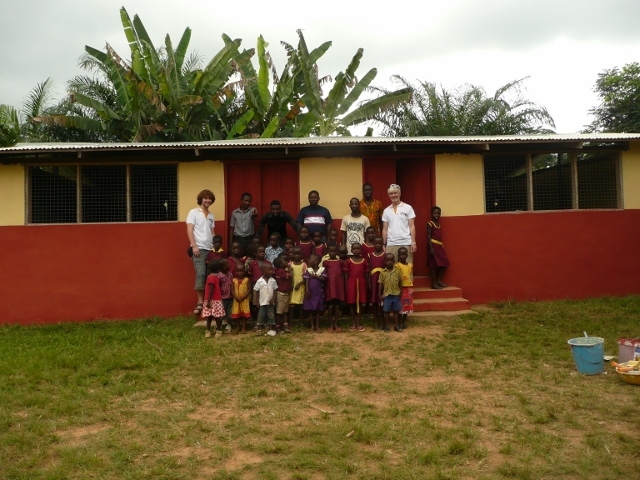 Last year we successfully built a double classroom block at a school in Asafo as part of our Building for the Future campaign so our first job this year was to furnish it. Usually we can get a class set of desks with seats attached made in Ghana for around £500 but as this was for some of the smallest children in the school we were able to buy enough small chairs and large round tables to kit out both classes for the same money and by the end of January the classroom were in full use. To complete the project we also painted the block both inside and out in the school colours during our recent visit. 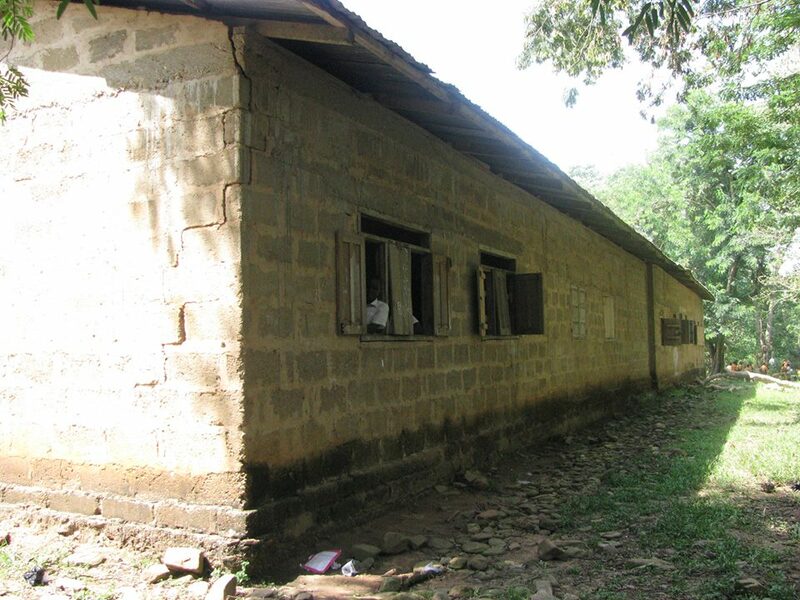 (Photo 2) Now we are turning our attention to renovating the remainder of the primary school and in particular the three classroom block we helped to re-roof in 2010. This block needs some new supports are the original wooden ones are rotting away and the third classroom requires the walls to be built. (Photo 3) Following our discussions with the Head teacher, we have agreed to award a £700 bursary to pay for the first stage of this work. At New Tafo Methodist School one of the Junior High classrooms had developed a very leaky roof so whilst there we took a trip into the town to buy some new roofing sheets; (Photo 4) we also bought 18 bags of cement so that the classroom housing the computers we supplied could have a new floor. (Photo 5) It was very satisfying to be able to work with the staff to identify the most urgent needs and then within the period of our visit actually sort a couple of the problems. Including labour costs this was all done for £300. 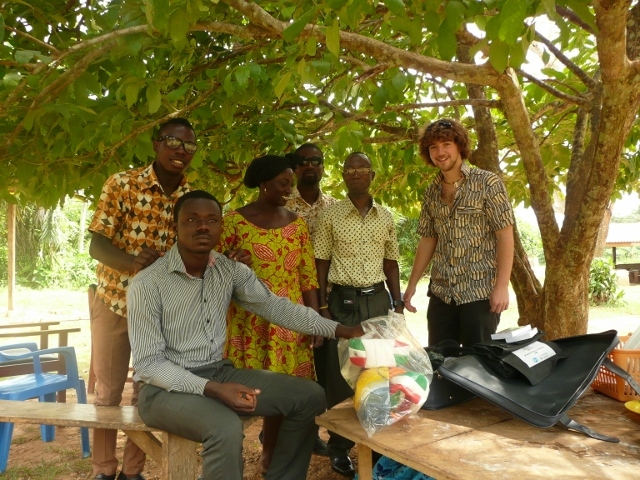 Up until now all of our work has been within the Eastern region of Ghana, however, following a request from the Head teacher of Juliet Johnston School in New Tafo we agreed to travel north east into the Volta region to visit the schools within his home town of Kute Buem. Although it took us over 6 hours to reach the town along some extremely bumpy roads the amazing reception we received on arrival soon made us forget any of this. Kute Buem is in a poorer area than New Tafo and the schools are certainly in need of development. During our stay we were welcomed by the Chief and introduced to the whole community. Despite the poverty we were shown great hospitality and whilst we discussed the obvious problems at the schools there was no expectation that we would offer any financial help. 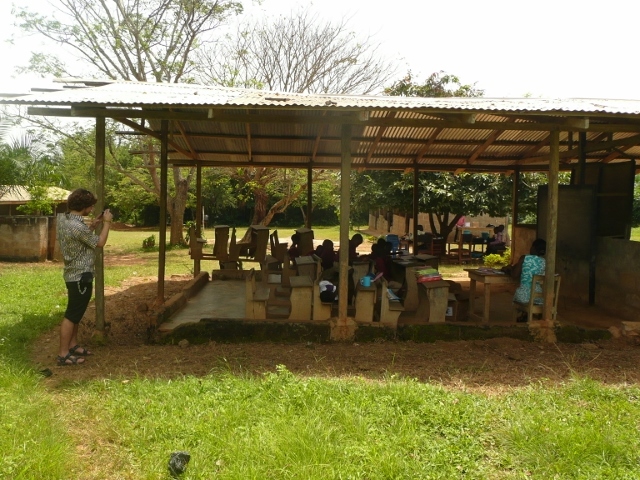 In fact the teachers were explaining to me how they were trying to raise funds within the town to repair the classrooms. Our aim is always to work with the schools and community so before we left we agreed to contribute towards their fundraising efforts and completed paperwork for an initial school bursary of £500 to pay for works to make the Junior High School block safe. (Photo 6) If this is successfully completed we will then look at the next stage in 2014. One other project we agreed to look at is the building of a bridge across the river which runs through the town. The river is the life blood of the town and is the only source of water for the people but it splits the town in two and some people have to cross it to access the schools. During the wet season the river swells and this makes the crossing very difficult, in fact we were told that every year at least one or two children drown trying to get to school. (Photo 7) A bridge has been built across the river but this is several kilometres away near the border with Togo so during our visit we discussed the possibility of building one in the town itself. Since returning to the UK work has been done to identify the best place and the project has been costed. It is though that if we use local labour and wood we could build a substantial bridge for approximately £2,000. This needs to be done before the wet season in late spring so SEPIA has pledged to send £1,000 early in 2014 to get the project started and then we will campaign to raise the remaining £1,000 before the end of April. With this in mind it might be a good time to mention that I am running in the 2014 London Marathon and my aim is to use this event to raise the funds required. I will put a link to a fundraising page on our website www.sepiaprojects.co.uk and on our Facebook page. Lastly we have offered two student bursaries this year costing £400. These were to ensure they were able to continue their education into Senior School. 2013 was a busy year and we think our most effective to date; our plans for 2014 though are to better this and we hope that you, and maybe some of your friends, will be there to help us make it possible. Photo 1 - Emptying one of our cases! Photo 2 - New classrooms newly painted. Photo 3 - Walls needed! Photo 4 - Collecting the new roof. Photo 6 - Kute Buem School in need of repair.